Hello everyone! I'll be leaving for vacation in a few days & I don't want to have to deal with a face full of blemishes on my trip. I'm doing a kale & honey mask that will help clear my face & prepare it for the dryness of the plane & stress from traveling. Kale & I have a love-hate relationship. Basically, I hate that I don't love it or even like it because I'm missing out on its rich nutrients. 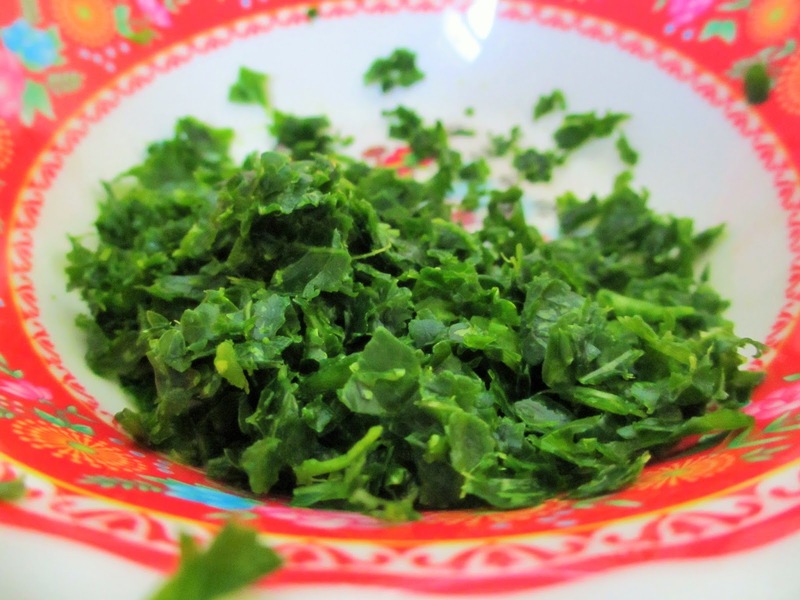 I really wish I was one of those people who actually enjoyed eating kale. I have a hard time eating bitter foods because, well, I just don't like them. My sweet tooth is out of control, which makes me crave sweets all the time. That's okay because I've found a way to reap the benefits of kale without ingesting it. 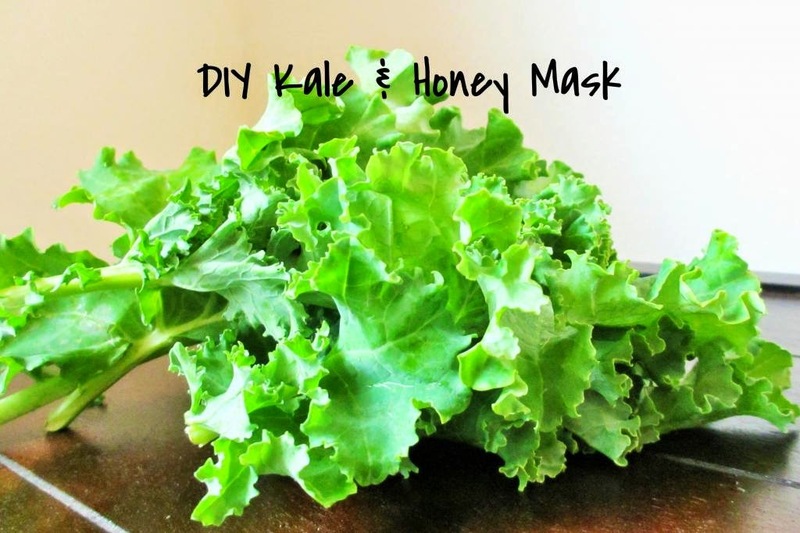 Why not make a kale mask? 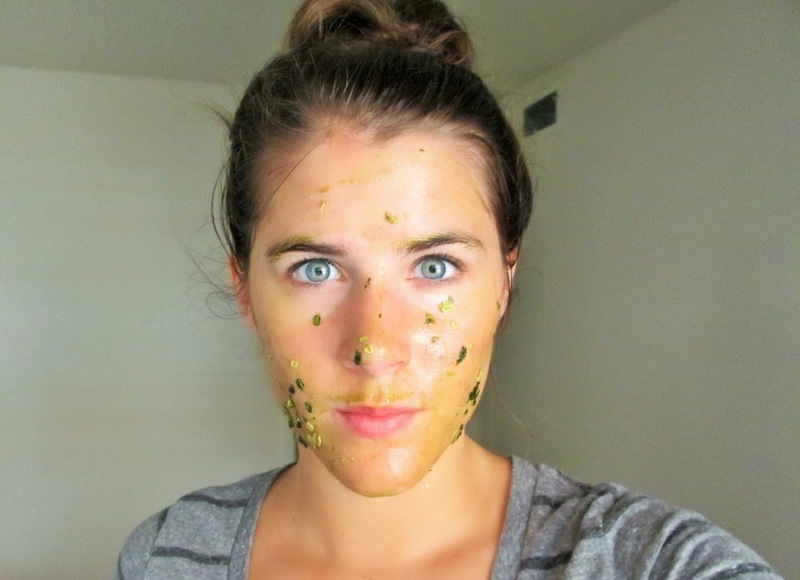 Kale juice has tons of vitamins & antioxidants that help slow down skin aging & get rid of acne scars & dark circles. In addition to kale, I'm adding honey to the mask, which helps prevent acne & will hopefully keep my face clear while I'm on vacay. I'm also adding oatmeal which also helps prevent acne & tightens the skin. 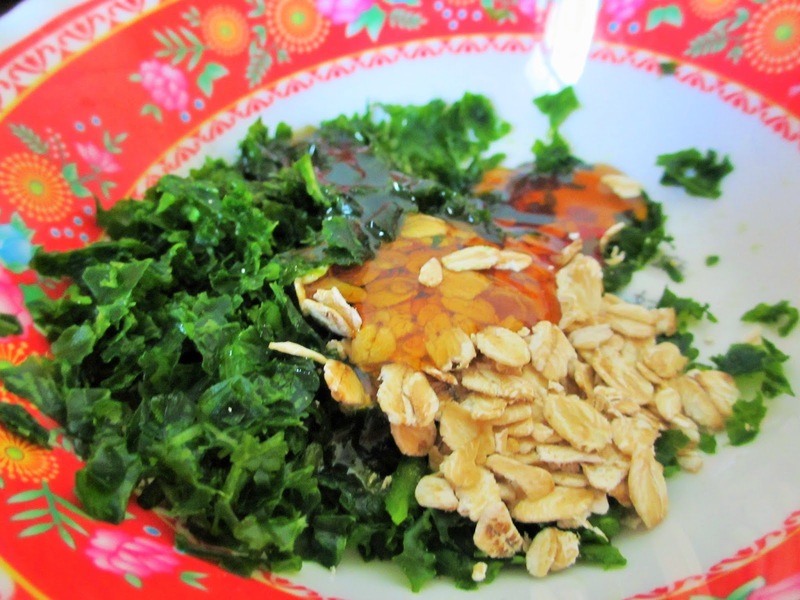 Oatmeal also transforms it into the perfect exfoliant, which allows the kale juices to penetrate deep into the pores. This combination will have optimum benefits since it is both a mask & an exfoliant. 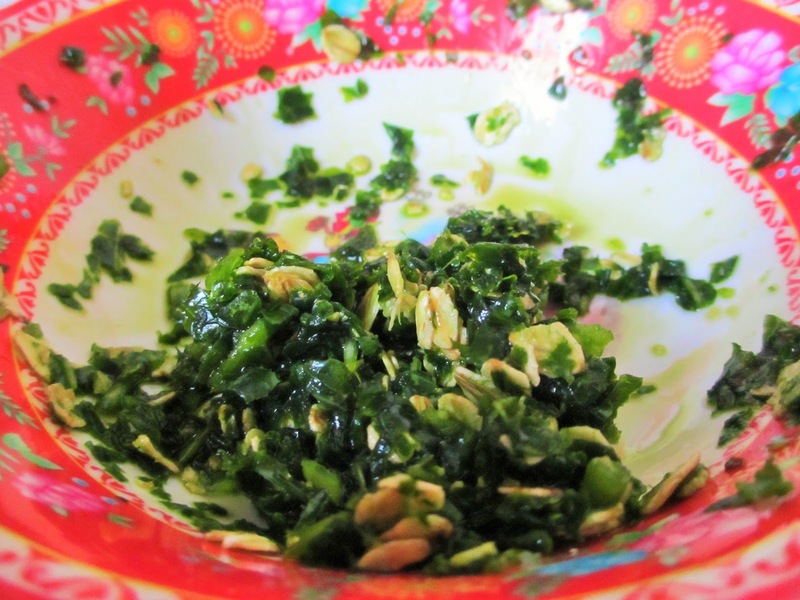 I start by grinding up the kale in a food processor. A blender may work as well. Any way to extract the juices is important because that's where all the nutrients lie. When the kale starts to look moist, then it is ready. Add the tbs of honey & tbs of oatmeal. The consistency should be quite thick, which is good for application. After cleansing the skin, apply the mask all over the face & neck. Wait 10 to 15 minutes & the mixture should dry on the skin. Use the remaining mask as an exfoliant, massaging it all over the face & neck for about 30 seconds. Follow up with a moisturizer to lock in the goodness. This is probably one of the messiest masks I've done because the juice likes to drip everywhere. Just be aware that kale juice creates green stains on clothing, carpet etc. (the stains will wash out). Whatever you do, do not wear a white shirt! 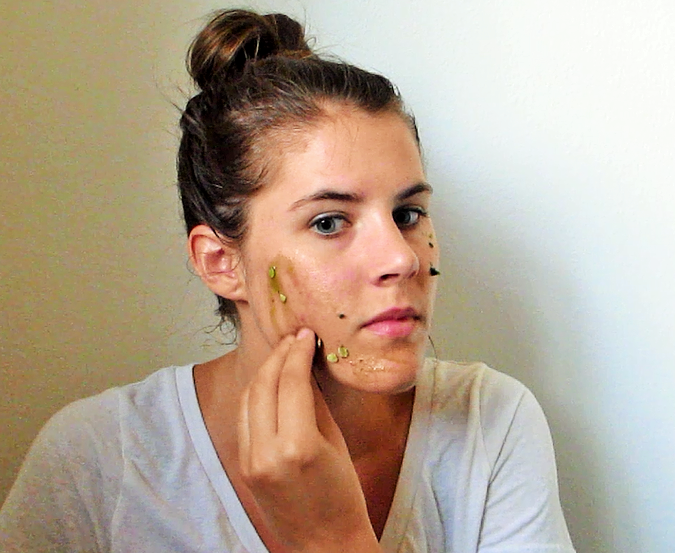 Luckily the kale doesn't stain skin! Here's what the mask should look like (it's normal to have a green 'stache). I hope you get a chance to try this mask! Let me know if you have any questions!